We’d love to hear from you. Please use the form below if you have any questions or need help with a shop order. Thank you. 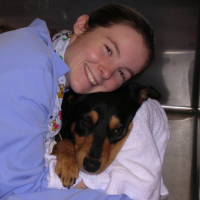 I lost my heart and soul dog, Potter, to an aggressive heart-based cancer in the summer of 2015. 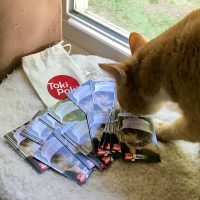 When I created a small non-profit organization (Paws4Potter) in his memory, Toki Poki was so incredibly helpful in creating a set of special trading cards that I could use to help spread awareness for pet cancer in our local communities. They are high-quality trading cards with a personal touch, and I would recommend these cards to anyone with a small animal-related business or organization. Everyone was so helpful on the telephone and by e-mail and allowed me to preview each card type before sending them to me. I will be using Toki Poki again for future trading cards, for sure! The folks at TOKI POKI™ put so much care and skill into preparing these cards. They are so well made, incredibly artistic and feature brief backstories on each of the animals which is amazing. What is even more is amazing is that TOKI POKI™ donates these cards children’s hospitals to spread joy to some very special children that can surely use it! TOKI POKI has the whole package, excellent products and awesome people that make them.